A fact sheet is one of a series of sample journalism/PR pieces for new and practicing freelance writers. It is a staple in the world of public relations and is used to concisely summarize an organization, news item, issue, or a cause to entice a journalist to write about a subject. It's important not to confuse a fact sheet with another often-used publicity vehicle, a backgrounder, which is often a narrative that appears in text form. Many fact sheets are lists and focus on numbers and statistics and are formatted in bullet form for easy reading. The following fact sheet was written for a specialty Latino food group that was attempting to drum up publicity. While publicity pieces are not usually shared with the public, because the company is now defunct, the organization forgave the publication rights allowing the piece to be shared. While the fact sheet was heavily edited, the essence and meaning remain the same. Always begin your fact sheet with a clear, short Hed and Dek such as the one below. Next, write a short summary of the issue in paragraph format such as the example below. First Paragraph Food industry executives and advertisers are aiming more products and more ads at U.S. Latino families, hoping to hook the demographic and to inspire brand adoption and loyalty by introducing more ethnic flavors and increasing Latino-targeted advertising. Executives at a recent food industry meeting acknowledged their desire to procure brand loyalty from Latino families due to strong demographic growth in the coming years, combined with a projected increase in household food spending within the group. Ken Powell, Chief Executive of General Mills echoed these statistics, noting that Latino families are more likely to cook and eat at home. The following are statistics and facts that support the main idea the company is trying to communicate to the journalist. Food companies have begun to introduce flavors into mainstream food collections that were previously considered appropriate only for regional Latino markets. Over 345 companies at the meeting indicated an interest in this route. Advertising budgets of the Top 500 U.S. advertisers showed an 8.4 percent increase in 2015 on campaigns directly aimed at Hispanics. 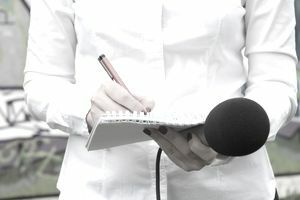 It is not uncommon for fact sheets to go beyond just the facts and develop an interesting story arc that pulls in the journalist. These summaries about the topic may also provide additional information with the hope of creating a bigger story. You'll notice from the example below that the end of the paragraph sums up this particular effort. Story Arc: What does this mean for businesses? Latino consumers, even those out of traditional regional Latino markets, will realize greater variety and more options in their family food purchase. There is potential for developing brand loyalty when families and primary shoppers see their needs, and wants, reflected in options on the shelf. In addition, Latino buyers may be more likely to frequent stores and chains that regularly stock food options that are interesting and attractive to them. Increased advertising aimed at Latino purchasers means more potential clientele for agencies and marketers able to position themselves as experts able to reach the market. The important thing to remember when producing a fact sheet is to keep the format simple and make sure the content accomplishes the goal of pushing forward a story or issue that is supported by facts and figures.